we help churches like yours break through barriers & maximize your impact. We'll help you discover what's holding you back so you can experience healthy growth. Reach your goals as you gain organizational clarity, define an aligned pathway for making disciples, cast a compelling vision, and design actionable strategies. We aren't a group that tells you what to do; we partner with you to draw the best in you and your church. The Malphurs Group was founded by Dr. Aubrey Malphurs in the 1990’s. The group began when churches and leaders were contacting Dr. Malphurs with a desire for hands-on help in applying the processes in his books, particularly Advanced Strategic Planning. As demand increased over the years, more team members joined the group to assist a growing number of churches. Dr. Malphurs continues to write best-selling books that help churches and leaders become healthy and effective. Our story is defined by the partnerships we have had with churches like yours to break through barriers and maximize your impact. We have seen churches overcome their challenges and make in-roads into their communities as they see the Kingdom expand. This is our heart for you. If your church doesn’t look like you thought it would or think it should, we are here to guide you through a process that can transform your church and maximize impact in your community. Our team includes the best in the field of church consulting and coaching. These are leaders with significant practical experience in the local church and business, as well as extensive biblical training – which reflects our belief that what we do is deeply theological. At the same time they are leaders in their areas of their core competencies and are intentional about practical application – bringing only the very best to your unique context. The Malphurs Group was founded by Dr. Aubrey Malphurs. 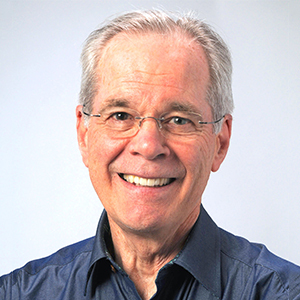 Aubrey is a prolific and award-winning author of more than 20 books, with titles focusing on topics such as strategic planning, leadership development, church planting and organizational strategies. In addition to being the inspirational leader of the organization, Aubrey is a Senior Professor of Leadership and Pastoral Ministry at Dallas Theological Seminary in Dallas, Texas. Dr. Malphurs planted his first church in 1972. He has also pastored two churches in Dallas, Texas, while teaching at Dallas Seminary. Since 1997, he has devoted his time to teaching and leadership of The Malphurs Group. Aubrey has partnered with numerous organizations, both in the US and in foreign countries such as Russia, England, Philippines, Finland, Latvia, Germany, Holland, Switzerland and France. He has been a consultant and seminar leader for a wide variety of denominational organizations across the country. Ron Donnini is the Chief Executive Officer of The Malphurs Group. Ron is a seasoned corporate executive, with a history of effective general management experience and returning value to key stakeholders. He has held numerous executive roles, including President and CEO, in a variety of companies throughout the years. Ron’s achievements include leading a regional company with annual sales of $15-20 million and less than 100 associates to become a worldwide enterprise with sales over $120 million, over 600 associates and eighteen locations in seven countries. Ron has been dedicated to growing leaders in industry and the local church. He has had the role of interim Executive Pastor in a large church setting. He was responsible for staff development, organizing staff for ministry deployment and oversight of daily church operations. Ron attended the University of Miami, where he studied architectural engineering and played baseball as a relief pitcher. Ron has traveled extensively around the world, and been a keynote speaker at multiple conventions and industry conferences. He is a life-long learner, which contributes to his giftedness as a teacher. Ron has a passion for growing leaders. 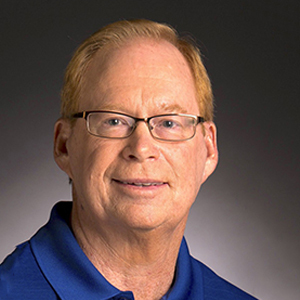 Ron currently resides in Arlington, Texas, with his wife Shawn, where he enjoys golfing, reading and taking in an occasional baseball game. A.J. Mathieu has 20 years experience as a business owner — consulting on technology for clients in a variety of sectors. He spent 5 years as an elected official serving local and regional constituencies; this provided a wealth of experience in leadership, negotiations and projects, as he focused on public safety, transportation and economic development. A.J. and his wife, Erika, have two boys and live outside Fort Worth, Texas. They have been members of their church for over 15 years, where A.J. has taught adult Sunday School classes, worked in children’s ministry and leads leadership development classes. A.J. participated in intensive systematic theology and personal divine design courses. He gets energized seeing the Holy Spirit work through churches as they look at envisioning their future. A.J. enjoys spending time with his family, travel, home improvement projects, being outdoors and playing golf. Scott’s passion is to give you the tools and training necessary to make you and your church better at making disciples. Scott is a leader that helps other leaders become healthy so they can gain disciple-making momentum. 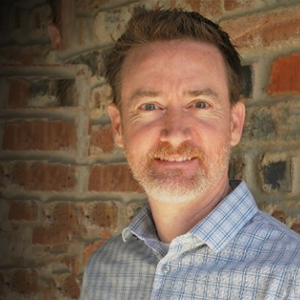 Scott has worked on staff at churches ranging from a megachurch to a small country church in positions from student ministry to worship ministry to executive leadership. 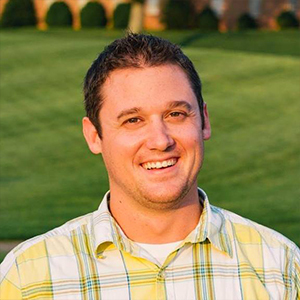 Prior to joining the TMG team in January 2016, Scott served on the leadership team of a church plant that grew from 75 at its launch in 2011 and peaked at 800 on Easter 2015. He has expertise in building effective leadership teams, project management, church strategic planning, and church marketing. Scott is a 2006 graduate of King University (B.A. Youth Ministry) and a 2012 graduate of Gordon-Conwell Seminary (M.A. Religion, concentration in Leadership and Church Planting). He resides in East Tennessee with his wife Allison and two kids, Liam and Norah. Do you ever work with churches and help them implement some of the concepts that you write about? Yes, the team at The Malphurs Group regularly consults with and trains leaders and their teams to implement the concepts presented in our resources. Do you work with any denomination or group? We work with evangelical churches and organizations that agrees with the core beliefs of The Malphurs Group. You can download a PDF of our statement of faith here. When you consult with churches, do they request some concepts more than others? The majority of denominations want seminars and training on change and church revitalization. Churches typically want help with their core values, mission, vision, strategy, and other areas of strategic planning. A growing number are also asking for help with designing a Leadership Pipeline. Which book by Aubrey Malphurs has sold the most copies? Advanced Strategic Planning sells the most copies, and a close second is Being Leaders. Next would be Planting Growing Churches in the 21st Century. Are any of Aubrey Malphurs’ books available in other languages? Yes, several of his books have been published in Spanish, Chinese, French, Korean and Ukrainian/Russian. Do you accept guest bloggers for your site? Yes, we do. Please contact us to submit your topic. How is Christianity faring in America? What can we do about the decline of Christianity in America? The Malphurs Group believes that the future of the Christianity lies in planting “Great Commission” churches and revitalizing established churches.